The defending pokemon is bullied by your pokemon in an online gaming match or on youtube. Defending pokemon takes 60 damage. Your pokemon gains infinite health. Evolves into prime form LOL PROBLEM? 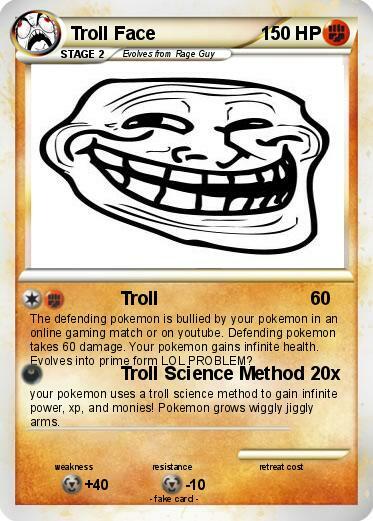 your pokemon uses a troll science method to gain infinite power, xp, and monies! Pokemon grows wiggly jiggly arms.